Updated 22 January – The rāhui covers all tracks within the forest. A list of areas in the Waitakeres where you can still walk can be found here – Rahui Clarification. Forest & Bird has joined with other conservation organisations to urge the public and our members to respect a rāhui by local mana whenua Te Kawerau ā Maki and stay away from bush tracks and forested areas within the Waitakere Ranges Regional Park to help stop the spread of kauri dieback disease. The purpose of the rāhui is to remove people from the area to prevent further spread of the disease and allow the environment to heal. This temporary closure will be in place until essential measures such as upgraded boardwalks and hygiene cleaning stations are in place. The rāhui will be lifted and tracks reopened on a rolling programme. It will not restrict access to beaches, public land adjacent to beaches, private land or public roads. Auckland Council’s Monitoring Report (Aug 2017) showed that the spread of kauri dieback had more than doubled in the previous 5 years and that humans are the main vector. We are lobbying Auckland Council and the Government to urgently invest sufficient funding to upgrade the track network and cleaning stations so that visitors are no longer at risk of spreading the disease. 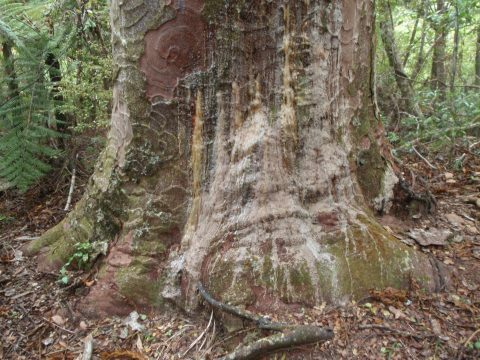 Kauri dieback is a microscopic pathogen that infects kauri roots and literally starves trees to death. Te Kawerau ā Maki has developed a warrant system to allow access for individuals or groups who undertake essential animal and plant pest control. Forest & Bird has been working closely with them to ensure our work on projects such as Ark in the Park is able to continue and have been granted a warrant for our volunteers. Forest & Bird (both nationally and at Waitakere branch level) has debated long and hard over this issue but feel that the protection of the values of the park is of paramount importance. In the case of the Waitakere Ranges and Hunuas this is the natural environment and the ecosystem of kauri forest, which is at so much risk from this devastating disease. The rāhui will be put in place by Te Kawerau a Maki this Saturday 2 December at 7am at the Cascades, near the Auckland City Walk. Te Kawerau ā Maki invite you to join us for the ceremony and urge you to do so. Showing public support for the rāhui is extremely important for us to get the message out to the wider public to encourage their understanding and support to help protect kauri. Please share this message with your networks and ask your members, relatives and friends to please tramp in other places. A public information notice by Te Kawerau ā Maki with more details can be found here and on their website at www.tekawerau.iwi.nz. 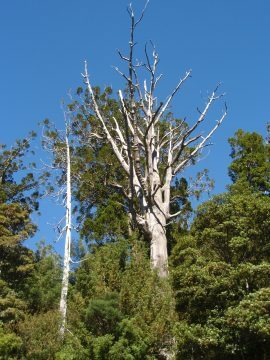 An FAQ on kauri dieback written by leading kauri dieback and biosecurity experts can be found here . More information about what Forest & Bird is doing can be found here. A joint media release supporting the rāhui by Forest & Bird, The Tree Council, Waitakere Ranges Protection Society and Friends of Regional Parks is here. Hi Sue and David. We suggest staying away from any forested areas with kauri within the Waitakere Ranges and other parks including the Hunuas and Okura where there are no boardwalks around the kauri. Tracks with good boardwalks around kauri include some parts of the Waipoua Forest and Pukeri Forest in Northland. I have updated the blog with a list of areas within the Waitakeres where you can walk. Hope this helps.